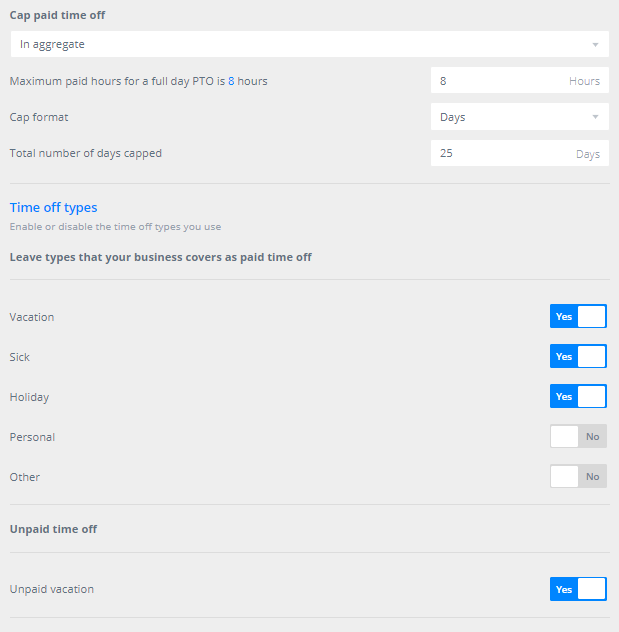 Go to Dashboard > Settings > Time Off and you'll see a section for Time off capping. 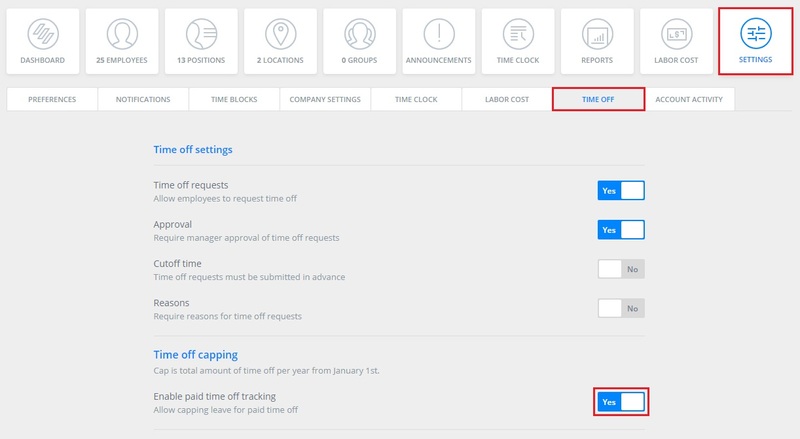 Enabling the setting will allow you to choose whether to cap paid leave by type or in aggregate. 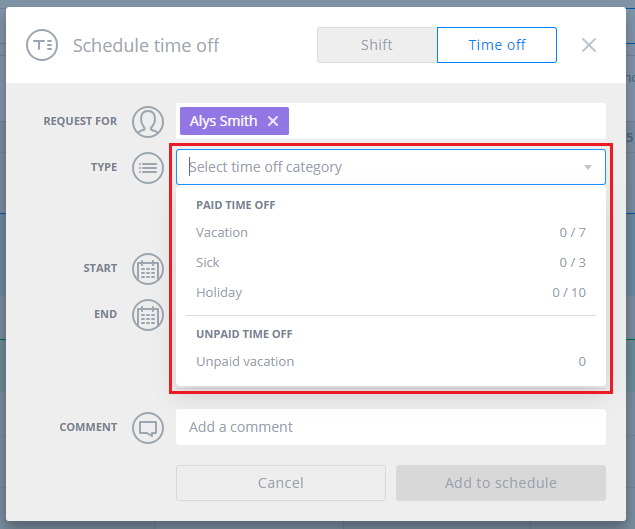 Choosing to cap by leave type will allow you to set the maximum hours for a full day of PTO, and choose whether you set the cap by number of days or number of hours. You can then designate which types of PTO are covered and set the number of days or hours allowed for one year. You will also see the option to allow unpaid leave. Choosing to cap in aggregate allows you to designate the total number of days or hours allowed for the year, and then choose which types are covered. All types will pull from the aggregate cap you've set. 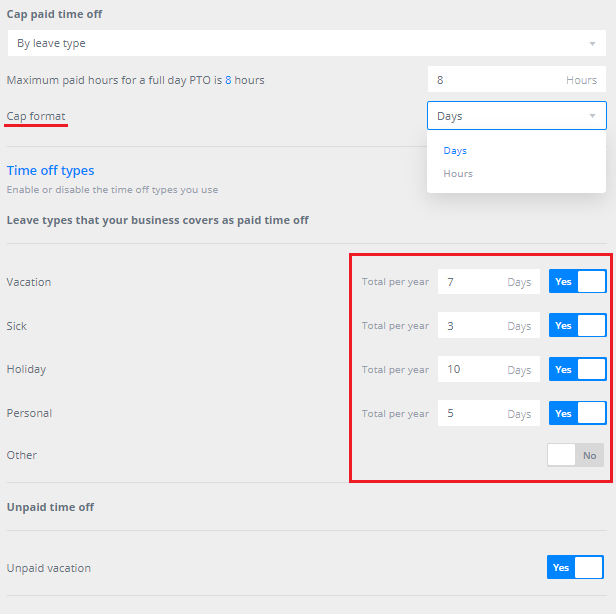 Once your settings are in place, you will see your caps reflected in the time off modal and any PTO that has already been used will be reflected so you know exactly how much leave an employee still has available.